Forget patriotism! Time to take clients outside Canada? 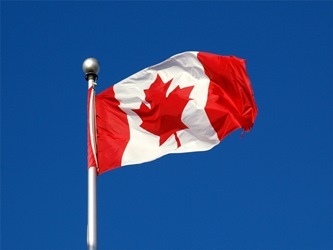 A new poll identifying investors as particularly bullish on Canadian investments suggests it could be time to steer clients outside the country, say some independent-minded advisors. It may sound unpatriotic, perhaps, but it's one reading on the latest TD Investor Insights Index. In the report, issued this month, the majority of investors polled expect the Canadian economy to improve or at least stay the same over the next 12 months, 26% and 55% respectively. About 41% expect a great or fair bit of improvement for their own investments in the coming year, while 51% think their investments will stay about the same. "Canadian investors have a positive view of current market conditions - both domestically and across North America," said Bob Gorman, chief portfolio strategist for TD Wealth. However, Gorman notes that the bank's own view on Canada is more reserved. "While we anticipate moderate growth within the Canadian economy despite little change in key Canadian commodity prices, recent US stock market performance is likely a factor in shaping that positive view." It's debatable whether the results of a sentiment survey provide much indication about the direction of the North American and global economies. But the results likely do demonstrate that Canadians, like investors elsewhere, have a tendency to exhibit home-country bias, myopically assuming one's own country will outperform others, as well as representativeness bias, assuming future performance will mirror past performance. TD's survey showed that Canadian investors are most confident in the North American market, with 26% expecting to see improvement in the Canadian economy and 27% expecting to see improvement in the U.S. The mood is not bullish, however and most (55%) expect the Canadian economy to be static and 41% feel the same toward the US. Canadians do have have a negative view for the global market, with only 10% of Canadian investors expecting improvement for the world economy. About 42% expect it to worsen and 43% expect it to stay about the same. The home-country bias is evident in all economies, although it is sentiment driven and in downturns or crises can reverse (as it did dramatically in Cyprus). People assume the unknown carries more risk than the known. They may be more aware of bad news from abroad, such as riots in Turkey, than they are of good news, such as an economic resurgence in the Philippines. “In Canada there is a home-country bias, but here I would suggest that the issue is more about sentiment. You have to realize that one of the most reliable rules about investing is the famous quote from Ayn Rand: ‘The masses are always wrong,’" said Rempel. Among Canadian investors who had seen improved portfolio performance in the past 12 months, 65% were expecting continued gains. Among those who had experienced losses, only 24% were expecting gains in the coming year. Similarly, among investors who had experienced gains in the past year, only 3% were expecting losses in the coming 12 months.